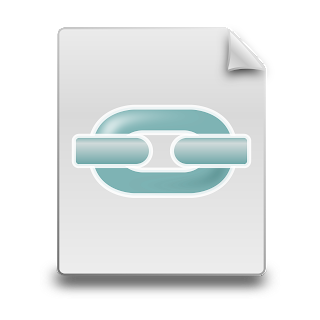 Recently, several readers have left comments indicating they were unable to download files from the blog. Jazakumallaahu khayran for bringing this to our attention. Subhana'Allaah, it appears the links for several files have stopped working for some reason. If you encounter the same issue with any file on the blog, please leave a comment to that effect, and we will respond as soon as possible insha'Allaah. Please be aware that the end of the school year is a particularly busy time for teachers and parent-teachers alike; it may take a few days before we are able to respond, but we will do so insha'Allaah. I know, it's been a loong time since a post has appeared on A Muslim Child is Born. A good book, however, is always guaranteed to remedy that! A teacher, may Allaah reward her, recently told me about a book, and this book has become a new favourite. Stick and Stone is a story that teaches children how to make friends and it teaches how to be a good friend. Stick and Stone's friendship forms when Stone is being bullied by Pinecone and Stick steps in to help. From this incident, Stick and Stone become pals. Soon after their friendship blossoms, Stick finds himself in trouble and Stone is more than willing to help, but unsure if he can. The book, suitable for children ages 3-6, can be used at the beginning of the year to help build classroom communities, but the book can also be used at any time during the year to help children understand how friends treat friends and how friends help each other. 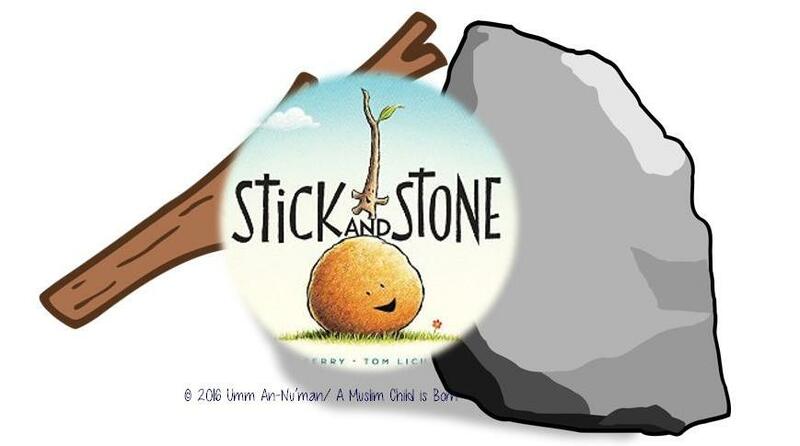 Stick and Stone is a delightful book that children may enjoy hearing read aloud again and again, so head to the library and check the shelf for Stick and Stone, and if you find it, check it out inshaa' Allaah! 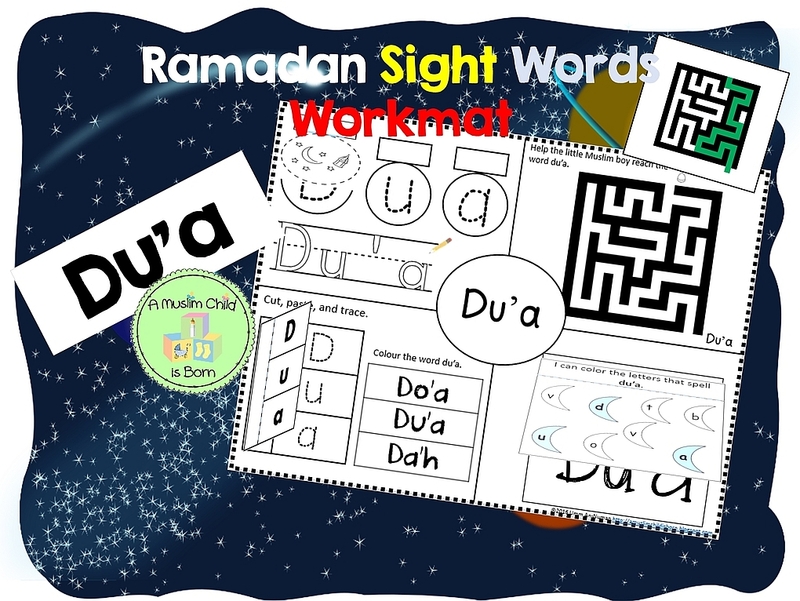 Alhamdulillaah, here is the fifth Ramadan Sight Words work mat. Like the pray and moon work mats, this work mat has several interactive elements. That means that this work mat may not be the best choice if you need an activity that your child(ren) can complete with little or no assistance; children will need an adult to read and explain the instructions, so they know how to assemble the mat and use it in shaa' Allaah. However, once assembled, children will enjoy learning with it in shaa' Allaah! You can download the dua work mat here in shaa' Allaah. Alhamdulillaah, the downloading issue has been resolved, but if for some reason the download does not start when you click on the download button, please leave a comment below. Also, if you have any questions about how to use this or any of the work mats, please leave a comment in shaa' Allaah. This post is to answer a question from a sister who wants to know how to teach 3-4 year-old children to read. You are probably very much aware of the fact that there is a plethora of information available on this topic and no one method will work for all children; therefore, this post is not intended to give the impression that everything mentioned here will work for every child. However, there are some things that you can do that will, by the Permission and Mercy of Allaah, put your child on the road to reading and guarantee success in shaa' Allaah. It is a few of these methods that will be mentioned in this post in shaa' Allaah. To set your child on the journey to becoming a reader, after making your intention for the sake of Allaah Alone, you will need to do one thing, consistently. It is something that you must not forget, put off, procrastinate, or abandon. Ever. Okay, you might forget; that's only human, but do your best to read aloud to your child. EVERY. SINGLE. DAY. You probably know that research has overwhelmingly found that children who are read aloud to succeed as readers. Some of the reasons include: reading aloud to children helps them access language that is above their grade/age level; reading aloud to children helps grow their vocabulary; reading aloud to children teaches children that print follows a direction (for English, left to right), and reading aloud helps children learn that letters represent sounds. Reading aloud to children also improves their reading comprehension skills and it gives children a schemata on which to draw when they begin decoding print for themselves. For example, children that have been read aloud to consistently at home have knowledge of many more objects, places, and ideas. When these same children later encounter an unknown word in a book, the children can (and do) use the pictures and context clues (and other strategies) to help them figure out what the word might/could be. Children that have not been read aloud to consistently do not have this tool and often struggle with new or unfamiliar words. You can read more about the importance of reading aloud to your child here, here, here, and here. You also need to do something else that is very important: your child needs to see you reading every day. Seeing you read will communicate to the child that reading is important, fun, and it helps us learn and accomplish certain goals. What if you already read aloud to your child every day? What comes next? Phonics? The alphabet? Well, phonics instruction includes teaching about the alphabet. So both come next. Children need to learn that letters represent sounds, but they also need to know which sound(s) each letter represents (makes). Sometimes, children are taught the ABCs but caregivers do not teach children which sound(s) each letter makes. It's good to remember that in many classrooms, children learn the names of the letters and their corresponding sounds. Montessori, however, does not advocate teaching children the names of the letters first. In Montessori classrooms, children learn the sounds of the letters prior to learning the names of the letters. You will have to decide which method you are most comfortable with when teaching your children the alphabet. It is also not recommended to initially teach children all of the different sounds one letter makes; teach the short a first and, as your child progresses, introduce the long a sound and tell your child that a makes more than one sound. Also, a word of caution: because children may know the names of the letters do not assume that they are ready to move on.There is a lot of information children need to know about letters. - What sound does each letter make? What sound do certain groups of letters make? 'Br', for example, makes what sound? - They need to be able to discriminate between different letters. For example, is that a c or an o? - They also need to begin learning the shape of each letter. Does the letter have a tail? Or is it formed by straight lines only? Is the letter formed by a combination of straight and slanted lines - like the letter M - or not? What are the distinctive features of each letter (e.g. B has two half circles and a stick or line on the left-hand side). Montessori sand-paper letters are a good tool to use when teaching letter formation. - Children need to know that words are made of up letters, that there is white space between words, there are capital and lower case letters, a word always has the same letters in the same order (e.g. look is always spelled l-o-o-k), and when you read, you match one spoken word to one cluster of letters (Pinnell & Fountas, 2011). 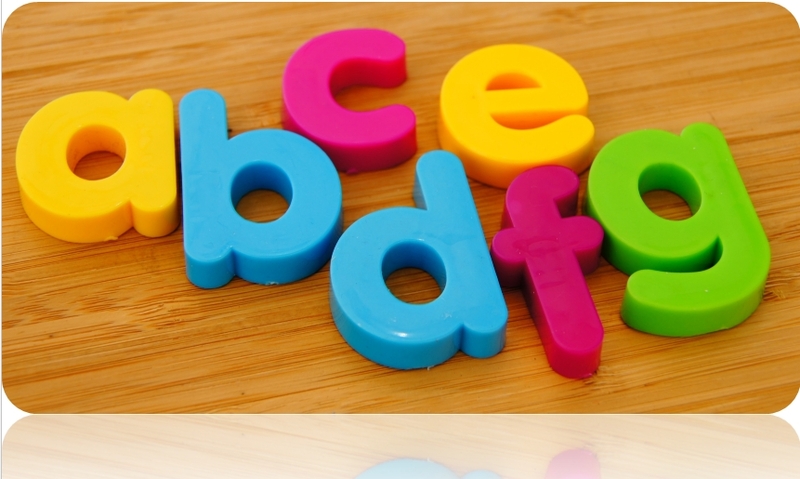 It is important to provide children with a lot of fun practice learning about the alphabet. There should be no pressure to master the alphabet quickly; each child learns at a different pace and, sometimes, leaving a letter alone and coming back to it later is all the child needs in order to master a letter he previously struggled with. Phonics is important. Keep in mind, however, that phonics is part of reading instruction, not the core or only component. It is also important to know that phonics and phonemic awareness are not the same thing. Phonics is teaching children what sounds letters make (e.g. a makes the 'a' sound, as in apple). Phonics also involves teaching children to match those sounds to the actual letters. Phonemic awareness teaches children to hear and discriminate sounds in language. Phonemic awareness instruction does not involve teaching children print; it only involves teaching children to hear and manipulate the sound structure of the language. Children need instruction in both areas. In the classroom, phonics and phonemic awareness are usually taught in tandem. You can read more about phonics and phonemic awareness instruction here. What type of activities can you do with your little one to help him (or her) begin to understand print and set him on his way to becoming a reader? Take time when reading aloud and during mini-lessons (which should last about two minutes), to have children identify letters in print. And when you are referring to a word in a text, be clear - in your language - that you are referring to a word, not a letter; sometimes children confuse the two and assume word and letter refer to the same thing. Also, show the child where a word begins and where it ends. Regularly have the child point to the beginning and end of words, so they become proficient at knowing where words begin and end. Make sure that your child knows that the first letter is where a word begins. Lastly, when you read with your child, run your finger under the words so he or she can see that print is read from left to right, up and down. - Play ABC hide and seek. To play this game you will need index cards and a marker. In the beginning, cut the index cards in half and write a letter from the alphabet (upper case) on each half. For example, one index card, cut in half, will have the letter W written on each half. Hide one of the letters somewhere in the room (but in a place that is easy for the child to see it and find it). Show the child the other half of the index card with the letter on it and ask the child to tell you the name of the letter and the sound it makes. Tell the child that the same letter is hidden somewhere in the room on an index card just like the one you are holding. Invite the child to find the matching letter. Repeat with different letters as long as the child is interested, but be sure not to use too many letters initially and only use the letters that your child has been explicitly taught. When your child has become proficient, play the same game but write the upper case letter on one half of the card and the lower case letter on the other half (e.g. upper case W on one half of the index card and lower case w on the other half). - Play 'I Spy': Decide which letter you would like to focus on. Gather small objects and place them in a basket. Make sure only one of the objects in the basket starts with the letter you are working on. Tell the child, 'I spy an object that starts with the letter (say the letter and the sound it makes)'. Ask the child to find the object in the basket. Provide clues if necessary. Repeat and play for as long as the child is interested. - Buy or make a magnetic poetry kit. These kits help children learn new words and they encourage children to begin trying to construct sentences. The kit pictured above can be found here. This kit can be found here. Something to consider about poetry kits: Some of the words in poetry kits may not be Islaamically appropriate. You can make your own kit easily. Office supply stores sell magnetic stripes and you can type the words in MS Word, cut them out, and place a stripe of magnetic tape on each word. Other activities (which fall under the umbrella of phonemic awareness instruction) include, having a child say a word and then asking him or her which sound they hear at the beginning of the word. As the child begins to show proficiency in this area, begin having the child identify the ending sound he or she hears. The next step, depending on your child's level, is to begin introducing sight words. It is very important for children to learn and know sight words because sounding words out is not the only strategy that will help children read. Many words in the English language would sound like nonsense if we were to try to sound them out. Sight words help children learn words that cannot be sounded out but appear very frequently in print. Another easy, and important, thing you can do to help your pre-reader is to help him or her begin to identify letters in environmental print. If you go to the store and the meat package says 'halal', point that out to your child and ask him or her which letter the word starts with. Do the same thing with food products in your kitchen. And when you come to a stop sign while driving, point out the sign and tell your child "do you see that red sign over there? It says 'stop'. What letter do you hear at the end of the word 'stop'?" Activities such as this and those mentioned in this post will help your pre-reader begin to unlock the language and understand how it works in shaa' Allaah. 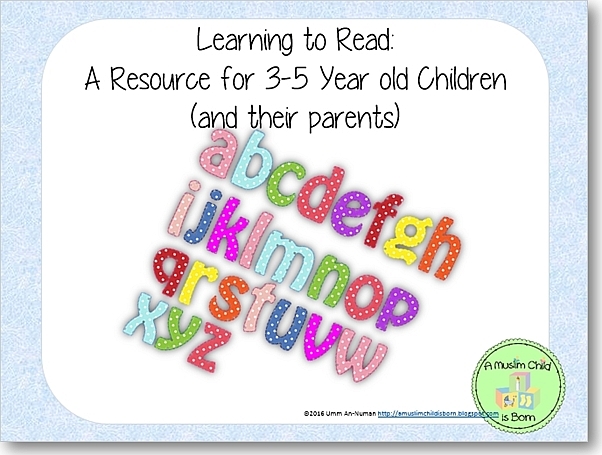 To assist you with your reading instruction, you can download this free early literacy pack that includes sample activities to use when teaching your child to read. Benefit & Enjoy In shaa' Allaah! References: Pinnell, G., & Fountas, I. C. (2011). Literacy Beginnings (pp. 110-111). Porstmouth, NH: Heinemann.